Antique dealers and buyers may disagree on many things–how much an item should cost, what materials are the best, and which eras are home to the greatest antiques–but one thing they’ll all agree on is how important a quality mover is when bringing an antique home. When moving something that’s been around for decades, and in some cases, centuries, it requires a special kind of care and respect for the item. Finding the right people to move it can feel just as difficult as finding the right antique itself. For one Illinois woman, that was the exact issue plaguing her mind. Thankfully, she was able to find help in a surprisingly modern place. 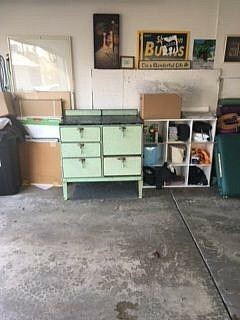 Shannon was lucky enough to find two antiques she wanted to take home: a vintage stove and a steamer trunk. Hunting them down was a challenge, but getting them home quickly proved even harder. Shannon downloaded the Dolly app and gave some details about her move. Shortly after she submitted her details, Dolly matched her with a local pickup truck owner, Andy. 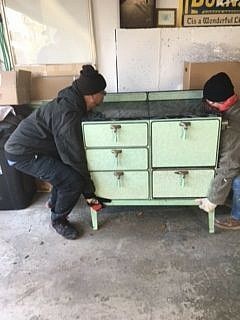 While Shannon was worried that the 300 pound stove would be too much for Andy and his assistant, they assured her it would be no problem. On the day Shannon had requested, Andy and his assistant met Shannon at the pickup location, and the delivery went without a hitch. “Start to finish, it took 25 minutes. They were nice guys, got the job done in minutes, and were very careful of my possessions. 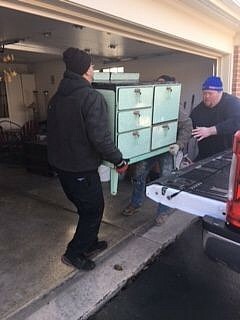 They seemed genuinely happy to be helping.” Andy and his assistant had no problem moving the vintage items carefully, and Shannon was thrilled with the experience. Now, Shannon is able to enjoy her vintage pieces. And when the time comes for her to buy more, she has Dolly, a modern solution to bring them home.